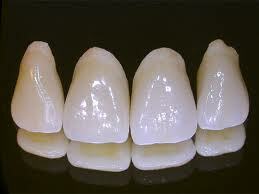 A dental crown is a tooth-shaped cap that is placed over a tooth. It covers the tooth to restore its shape and size, strength and to improve its appearance. Depending on your habits and the condition of your gums, there can be some drawbacks. Dental crowns cover the entire visible surface area of an affected tooth and add strength, durability, and stability to the tooth. Approximately 85% of dental crowns and bridges are metal-based and 15% ceramic-based. There are various situations that would require the placement of a crown, such as root canals, lost fillings, dental bridges, decay below a filling, and chipping and cracking of tooth enamel. The cracking or breakage of teeth can be caused by age, tooth decay, fillings and an improper bite. Depending on the extent of the decay or damage to the tooth, the dentist may perform a root canal before placing a crown on the tooth. If this is the case, the dentist may need to build a foundation for the crown after the root canal has been performed, also known as a "post-and-core" foundation. Before the crown can be placed on the tooth, the dentist must file the tooth down to make room for it. Then an impression of the tooth and the surrounding teeth will be made. 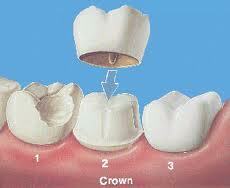 While the crown is being created, a temporary acrylic crown will be placed on the tooth. When the permanent crowns are ready, the temporary crowns are replaced at a separate visit. The crown will last anywhere from seven to 40 years. Thangam’s Dental Clinic, Tamil Nadu, India provides the various types of Dental Crowns in India with affordable cost. It is situated in Mylapore, Chennai, which is considered as the Medical Tourism capital of India. Our clinic with state of art equipments and well trained experienced doctors match the best of international standards. For any dental doubts just send an inquiry from the following link or mail us.